Food often tops our list of guilty pleasures, but it’s hard to think of famous writers indulging in the gratuitous and occasionally sordid ways we do. When I was in college, part of my late-night routine was to buy a huge bag of Tostitos with lime, eat the whole thing while writing a paper and—in one final profligacy—scrape the fake citrus-flavored salt out of the corners of the bag. Trying to imagine Camus doing that just feels wrong. But there’s probably a kernel of truth to it, if Jean-Paul Sartre’s letters are anything to go by. Sartre had his cravings too, and while he was fighting with the French army during World War II, his letters to Simone de Beauvoir repeatedly mention the same thing. He demands halva. The letters between Sartre and de Beauvoir are also incredibly beautiful. 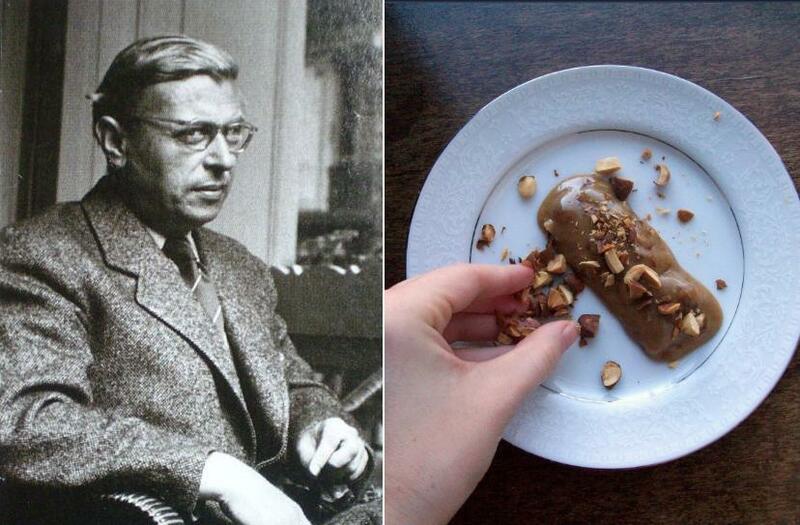 But Sartre’s sweet tooth makes him just a bit more relatable. Existentialists: They’re just like us. There are dozens of types of halva, and its ingredients depend on where you are. In South Asia, it’s traditionally made with semolina; in Ukraine, use sunflower seeds. But the kind Sartre wanted comes in bars or blocks, like the sesame-based sort you find around the Mediterranean. 1. Line a loaf pan (9×5 or 8×4) with cooking parchment, allowing extra to hang over the sides. 2. Put honey in a small saucepan. On a low setting, heat honey, stirring occasionally, until a candy thermometer reads 240°F. Remove from heat. 4. Add tahini mixture to egg whites and fold gently to combine. In a small stream, gradually add honey and stir 6 to 8 minutes, until the mixture stiffens slightly. Stir in chopped almonds. 5. Scrape mixture into prepared pan. 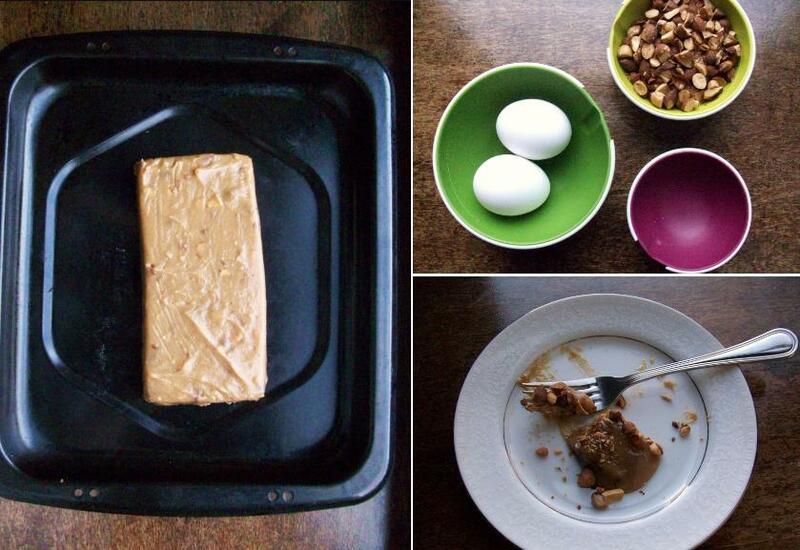 Cover pan with plastic wrap and refrigerate overnight until firm, 24 to 36 hours. Remove halva from pan and cut into pieces (if it’s still too soft, you can pop it in the freezer for an hour or so to set). Sprinkle bars with chopped almonds and snack away.